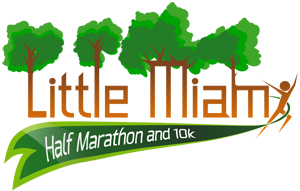 We are always seeking sponsors to help us with the production of the Little Miami Half Marathon. 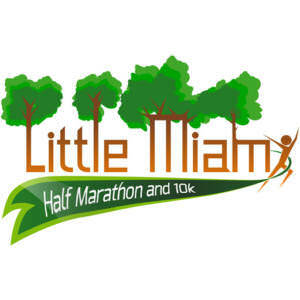 If you are a local business or are just wanting to spread the word about your company to our nearly 1,000 participants, sponsorship of the Little Miami Half Marathon might be of interest to you. 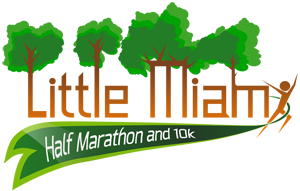 For more information, please click the Sponsor This Event link in the right column. The Friends is a nonprofit organization devoted to the preservation and enhancement of the Little Miami State Park. We assist park management with development planning, routine maintenance, capital improvements, safety concerns, parking issues and promotions. In 2008, after three serious accidents due to poor surface conditions on wooden bridges, we raised $11,000.00 to assist the Ohio Department of Natural Resources (ODNR) in paving 15 overpasses. Since then no similar accidents have been reported. In 2010, due to the limited resources of park management, we started Adopt-a-Trail, a program designed to help maintain the park. We’ve fixed many fences, bagged lots of litter and debris and cleared miles of encroaching brush. Our goal is to one day help tend to the needs of the trail from end-to-end. In a massive cooperative effort, the Tree Blitz of 2017 removed over 2,000 standing dead trees that threatened to fall on the Little Miami State Park’s scenic trail. This joint effort of the Ohio Department of Natural Resources (ODNR) and the Friends of the Little Miami State Park (FLMSP) has significantly improved the safety and the beauty of the popular trail. We have a wonderful park, and the Friends of the park are dedicated to keeping it safe and enjoyable for everyone who visits. Little Miami State Park is one of the premier outdoor recreation and nature preserve areas in the state of Ohio. The Little Miami River Valley is historically significant to the state of Ohio • The wooded lands were home to several early Ohio Indian cultures • Nearby are the largest and best known earthworks in the state known as Fort Ancient • Fort Ancient was built by the Hopewell Indians who inhabited the area from 300 B.C. to 600 A.D. In more recent history, this area was inhabited by the Miami Indians and the Shawnee • After the War of 1812, the Indian threat dissipated and the area attracted settlers • Numerous mills were developed on the river bank and several still stand today • Clifton Mill near Yellow Springs is still in operation • By the mid 1800s, the river corridor was bustling with grist mills, textile mills, stagecoach trails and a railroad line. Indian mounds and relics, historic buildings, grist mills and stagecoach trails can still be found in this historic river valley • The Little Miami Scenic Park became a state park in 1979. The Little Miami Scenic Park is located within the beautiful and historic Little Miami River Valley • The Little Miami is a designated federal and state scenic river • It is protected because of its high water quality, panoramic setting and the many historic sites that can be found along its banks. A trail meanders with the river through four counties encountering rolling farm country, towering cliffs, steep gorges and forests along the way • This steep gorge offers evidence of the erosional forces of glacial meltwater. Outcroppings of dolomite and shale are now exposed • Mammoth sycamores border the river’s edge where great blue herons reside • Because of the relatively cool sheltered climate in the gorge, eastern hemlocks and Canada yew are able to survive here. Birdwatchers delight in the abundance and variety of colorful warblers and other songbirds in the park • The shaded slopes offer a variety of woodland wildflowers for visitors to enjoy • More than 340 species of wildflowers are known in the river’s corridor • Virginia bluebells, bellworts, wild ginger and wild columbines are only a few to be seen in the park.